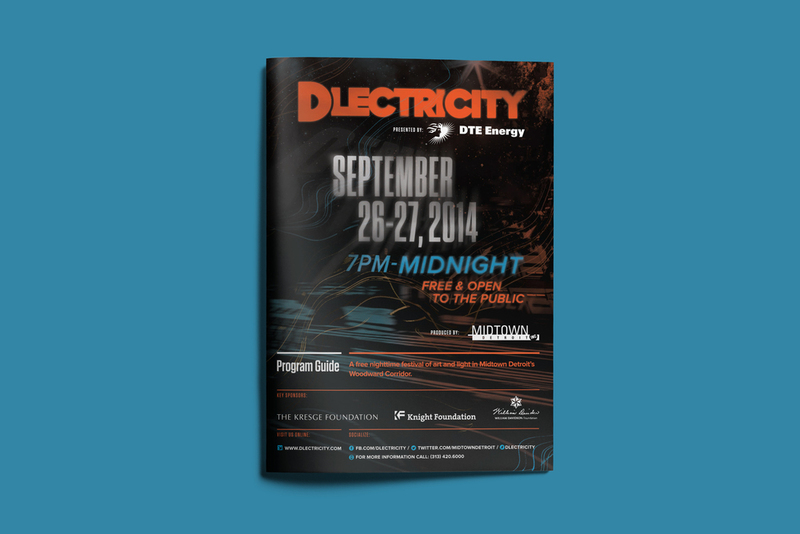 Dlectricity — good done daily. Detroit’s nighttime festival of art & light. Inspired by Nuit Blanche arts festivals from around the world, Dlectricity is a bi-annual festival of cutting edge works of art, lighting design and performance. 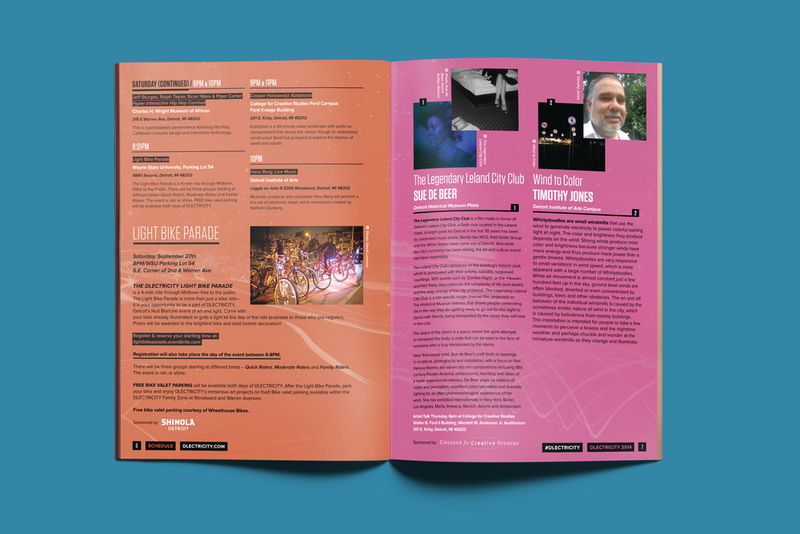 Its goal is to captivate a broad and diverse audience, influence a sense of community and create a place for stimulation and discussion about the impact of art on public spaces. 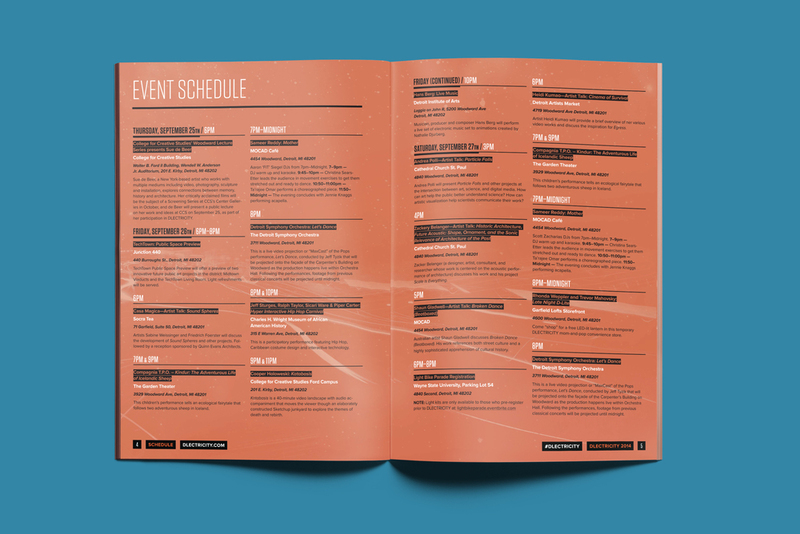 We were engaged by the festival’s program manager to design 2014’s system of event materials, print advertising, and way-finding. Signage was installed and color coordinated throughout Midtown, helping to guide visitors between installation sites. Maps inside the program guides allowed guests to navigate busy city streets and festival zones. Posters and other forms of print media equipped an audience of locals with information in anticipation of the 2-day experience.